Nothing tickles the competitive belly of a salesperson as much as sales contests. The rivalry and banter creates a buzz around the workplace that brings a rapid boost in sales. However, as per Dan Pink’s analysis, there are some rather surprising truths about what actually motivates us. It transpires that financial rewards don’t bring the level of motivation that you might think. Oftentimes the simplest of rewards have the biggest impact. So, here are 20 low cost sales incentive prize ideas that we know really work. How do we know? Well, because we have used all of them ourselves! Get the week off to a good start by providing your winner with a massage. It’s sure to get them in the right frame of mind for the challenges that lie ahead! Anything that involves bringing the sales leadership down a peg or two is always great fun and highly motivational. A task as visible to the whole office as the boss delivering lunch (or breakfast) is sure to motivate. This can be turned into a good team bonding event as well, it also works best as a summer competition prize. If you combine it with a barbecue and picnic it can be a fun way to bring the team together. There is nothing more rewarding than giving time to a good cause. Allow the winner to choose the organisation and activity they want to perform for maximum impact. Come on, we all have experienced desk-envy! The desk by the window or the one in the quiet corner where it’s easier to make calls. Combine this prize with a ‘winners’ chair for the greatest effect. This is one of our favourites. Every office has a prominent parking spot. The one that is close to the entrance and that everyone has to walk past. Reserve this spot with a visible ‘For Winners Only’ sign for a real feel good factor. Back to the theme that taps into personal development. We all strive to be the best at what we do, but in a time constrained world we don’t always do the best job of sharing our winning secrets. 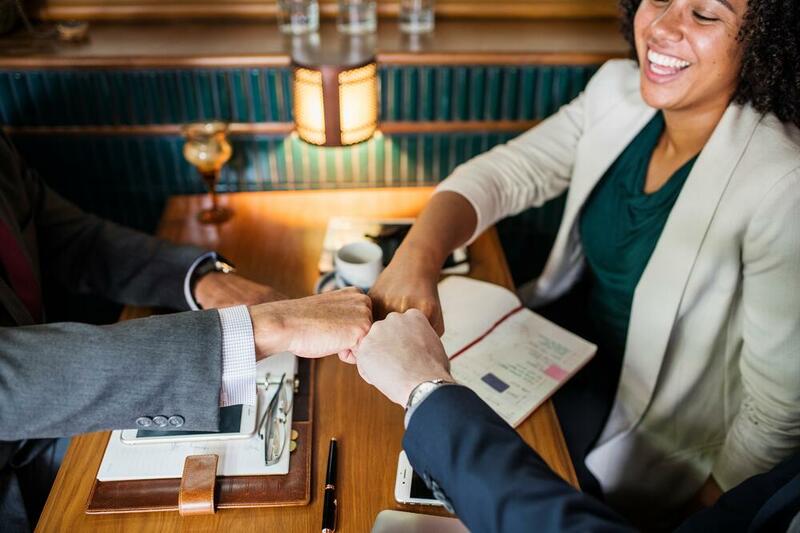 Allow your winner to pick who they would like to either shadow for a day or spend time helping review their deals and strategies. Having the boss turn up at your house acting as your personal grocery shopper is great fun, just don’t expect them to unpack it for you! Seriously, this reward gives a nod to the recognition that the team have a life outside of work and the chores have to get done. It’s a great light-hearted way to provide a little relief from the daily grind. An old favourite rooted in time. The reason that it is on the list is because it just works. Peer recognition is a very strong motivator that should not be underestimated. Rename one of your meeting rooms to adopt the name of the winner. Placing stick-on signs over the meeting room name declaring it as the “Fred Smith” room will give strong peer-recognition (as well as no end of banter) for the duration. If you want to take it the extra mile, put posters in the room of the winner, so they are literally smiling down on the occupants. We have used this one and seen it used to great effect. The thrust is not the prize but the peer recognition that comes from a “walk of fame”. Have the winner walk through the office to the front, passed all of their peers. They select a ticket from the lucky dip box that matches one of the prizes laid out on the table in front of them. The winner takes their prize and completes a walk of fame back to their desk. This is a great way to provide prizes for short sharp competitions such as “daily call connects”. A simple but highly effective reward. Allow the winner to leave the office to go and watch a movie. Announce it to the team and watch the winner disappear out of the door for a few hours of well-earned relaxation. Everyone left behind will be wishing they had pushed that little bit harder. This is a fun, low-cost prize. Have the whole team sign a card and after assembling the montage of no doubt pithy comments and signatures, slip a couple of lottery tickets inside. A great way of building team camaraderie and having fun. Take the party on the road and allow the winner to celebrate their success with the people most important to them. Always a popular one and often involves the boss finding themselves covering cold calling hour! Allow the winner to pick a task they least like and pass it to their boss to complete for them. So, there you have it, 20 simple sales incentive prize ideas that can be put to maximum effect. Want to find out more? Why not read our guide to running successful sales contents. Need more food for thought? 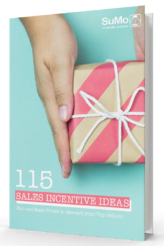 Try our guide to 115 sales incentive ideas.